Amy Schumer is a vision in white! 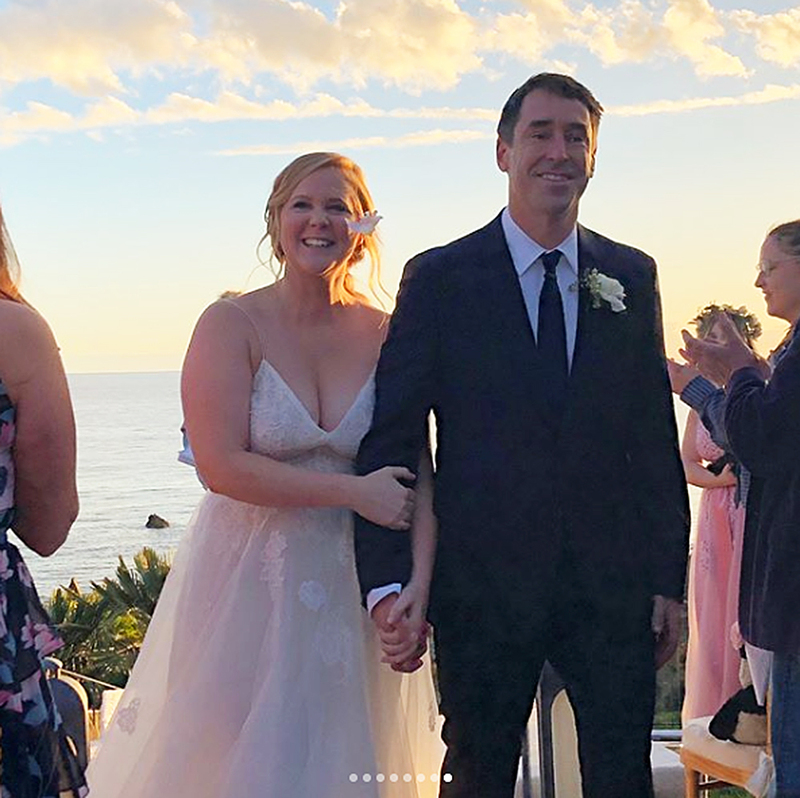 The comedian took to Instagram to share photos from her surprise wedding to Chris Fischer after Us Weekly exclusively confirmed the pair tied the knot. “Yup,” Schumer captioned the post on Thursday, February 15. As previously reported, Schumer married the chef on Tuesday, February 13, outside a rented house in Malibu that overlooks the ocean. Celebrity guests included Jennifer Lawrence, Jake Gyllenhaal, Jennifer Aniston, Larry David and David Spade. 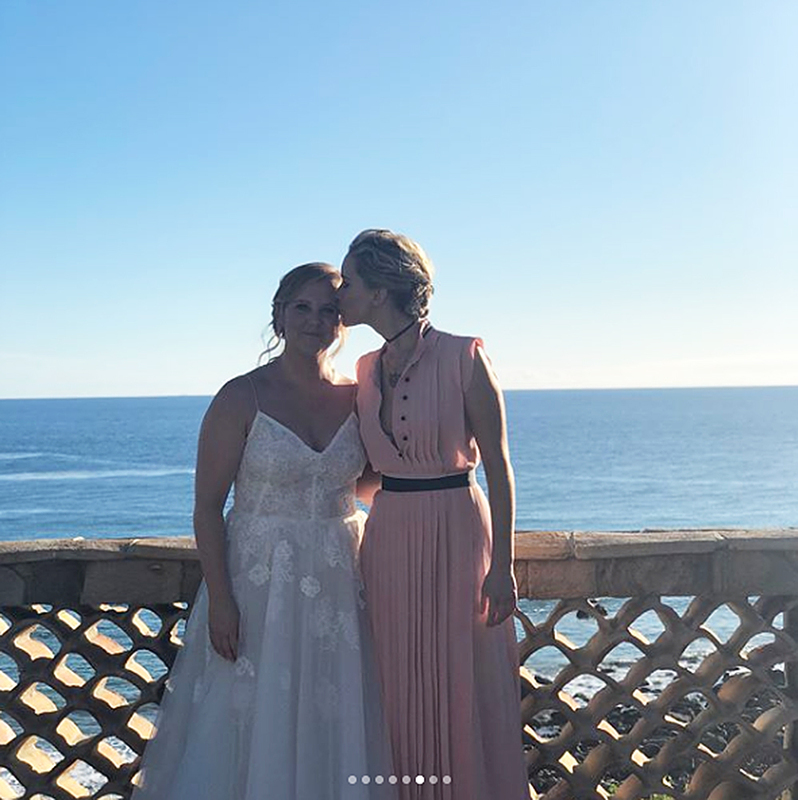 In addition to photos of her dogs walking down the aisle and Fischer breaking the glass at the alter, Schumer shared photos of her bridal party, which included sister Kim Caramele, and a photo of Lawrence kissing her on the cheek. The Trainwreck star also took to her Instagram Story to give fans a look inside her big day. 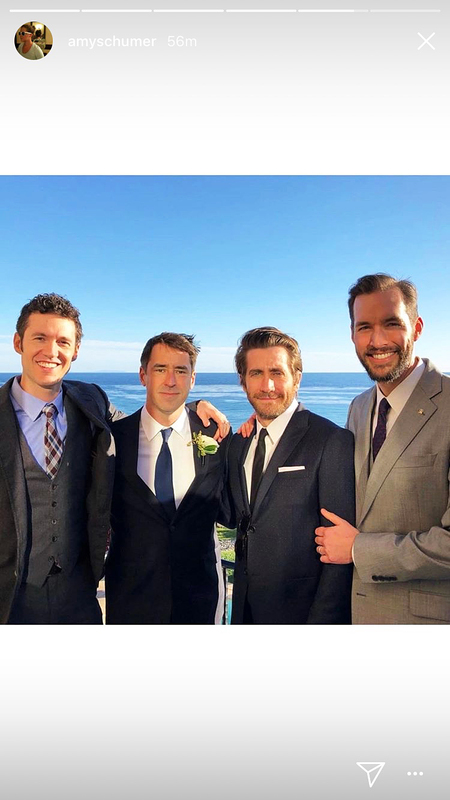 She posted a photo of her new husband kissing her on the forehead, pictures of her glam squad and a shot of Gyllenhaal posing with other male wedding guests. In a second post, Schumer told users that she did not want wedding gifts, but instead encouraged them to make a donation to Everytown for Gun Safety after the Wednesday, February 14, school shooting in Florida. “2 things … No I’m not pregnant … and not gifts but thank you for asking. Instead please consider s (sic) a donation to everytown for gun safety. Thought of Mayce and Jillian a lot yesterday and sending love to everyone who has been affected by gun violence,” the image she posted reads.